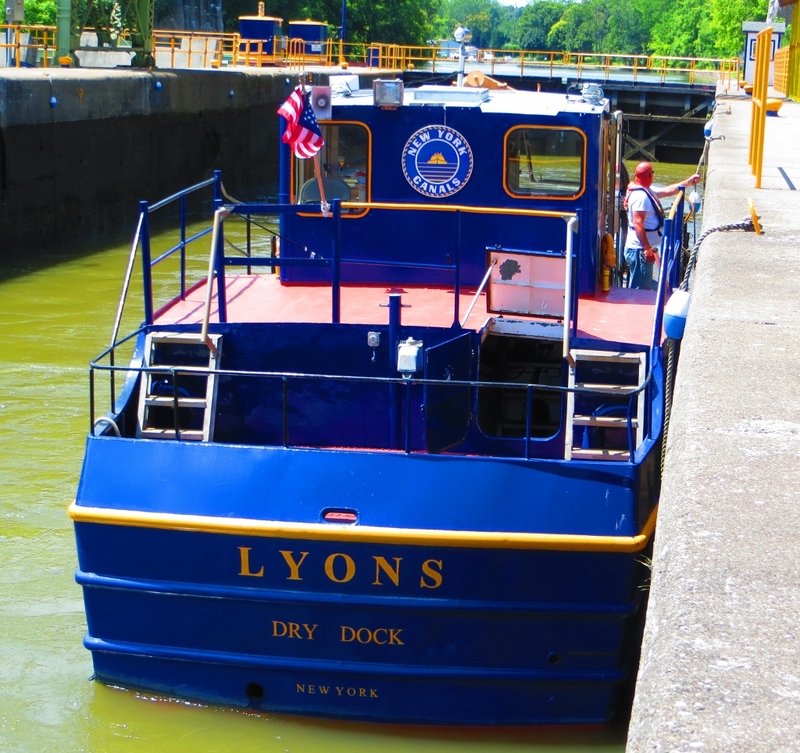 Lyons NY is the first local Erie Canal Community to participate in a digital- interactive venture to promote the Erie Canal, a local lock, and surrounding businesses. Lock E 27 and fifteen (15) local businesses are all part of this interactive adventure. For the “virtual tourist” and potential visitor, there is a full aerial panorama of the Community of Lyons. Click on a small “You Tube” icon and watch a short drone “flyover” of Lock E 27. A “time lapse” of the lock chamber reveals boats exiting the lock. Zoom in on the 100 year old lock chamber walls. Marvel at the 100 year old lock gate mechanism! Follow the arrows! For the “virtual tourist” or potential sailor, there is a “Complete Lock Video” - an 11 minute “aerial” of two boats entering the lock chamber, locking, and with lock gates opened, exiting the lock- a true tour and up- close view of Lock E 27, first opened to commercial traffic on May 15, 1918! Lock E 27 is adjacent to the NYS Erie Canalway Bike Trail and just a few feet from the original path of Clinton’s Ditch and the Enlarged Erie Canal! For tourists, shoppers, and the local community: visit fifteen local businesses including the Peppermint Museum, The Wayne County Jail/ Museum, the Lyons Community Center. Visit each business or building. Zoom in on the building or contents of a room. Then make your digital interactive visit a physical visit! Google “Lyons NY walk into” for a direct link to the virtual tour, or better yet, simply click here: Lyons NY Virtual Tour. The Lyons NY Virtual Tour was orchestrated by Mason Carr, President of Be Local Now, Inc. and filmed and photographed by professional photographer, Mark Goho. 0 Comments to "Lyons NY on the Erie - a Virtual Tour"